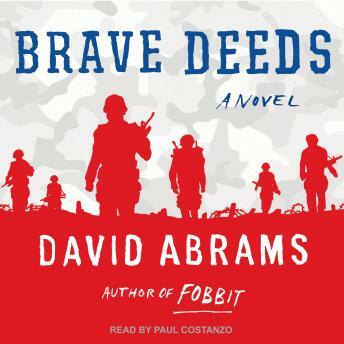 From Fobbit author David Abrams, Brave Deeds is a compelling novel of war, brotherhood, and America. Spanning eight hours, the novel follows a squad of six AWOL soldiers as they attempt to cross war-torn Baghdad on foot to attend the funeral of their leader, Staff Sergeant Rafe Morgan. As the men make their way to the funeral, they recall the most ancient of warriors yet are a microcosm of twenty-first-century America, and subject to the same human flaws as all of us. Drew is reliable in the field but unfaithful at home; Cheever, overweight and whining, is a friend to no one-least of all himself; and platoon commander Dmitri 'Arrow' Arogapoulos is stalwart, yet troubled with questions about his own identity and sexuality. Emotionally resonant, true-to-life, and thoughtfully written, Brave Deeds is a gripping story of combat and of perseverance, and an important addition to the oeuvre of contemporary war fiction.